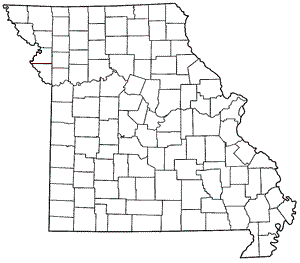 There are 114 counties and one independent city in the U.S. state of Missouri. Following the Louisiana Purchase and the admittance of Louisiana into the United States in 1812, five counties were formed out of the Missouri Territory at the first general assembly. Most subsequent counties were apportioned from these five original counties. Six more counties were added through the 1836 Platte Purchase, the acquired lands of which formed the northwest tip of the state and consisted of Andrew, Atchison, Buchanan Holt, Nodaway, and Platte counties. In Missouri, the county level of government level comes between those of the city and the state. Its primary responsibilities include maintaining roads, providing security, prosecuting criminals, and collecting taxes. Elected officials at this level include a sheriff, prosecuting attorney, and assessor. ^ "County Government Links". Missouri State Government Web. http://www.mo.gov/mo/county.htm. Retrieved October 10, 2009. ^ a b "State & County QuickFacts". U.S. Census Bureau. http://quickfacts.census.gov/qfd/maps/missouri_map.html. Retrieved September 28, 2009. ^ "Annual Estimates of the Population for the United States, Regions, States, and Puerto Rico: April 1, 2000 to July 1, 2009" (CSV). United States Census Bureau. December 2009. http://www.census.gov/popest/states/tables/NST-EST2009-01.csv. Retrieved February 15, 2010. ^ a b "EPA County FIPS Code Listing". US Environmental Protection Agency. http://www.epa.gov/enviro/html/codes/mo.html. Retrieved September 27, 2009. ^ a b c "NACo - Find a county". National Association of Counties. http://www.naco.org/Template.cfm?Section=Find_a_County&Template=/cffiles/counties/state.cfm&state.cfm&statecode=MO. Retrieved September 17, 2009. ^ Beatty, Michael (2001). County Name Origins of the United States. McFarland Press. ISBN 0786410256. ^ a b Coulet du Gard, René; Coulet Western, Dominique (1981). The Handbook of American Counties, Parishes and Independent Cities. Editions des Deux Mondes. ISBN 0939586002. FIPS State Code State State Abbr. This article uses material from the "List of counties in Missouri" article on the Genealogy wiki at Wikia and is licensed under the Creative Commons Attribution-Share Alike License.